Happy Monday! Tomorrow is a public holiday here in SA and a lot of people have taken today off work to have a super long weekend. Needless to say, our weekend continues! 😉 I hope you have a beautiful day, even if you are at work. 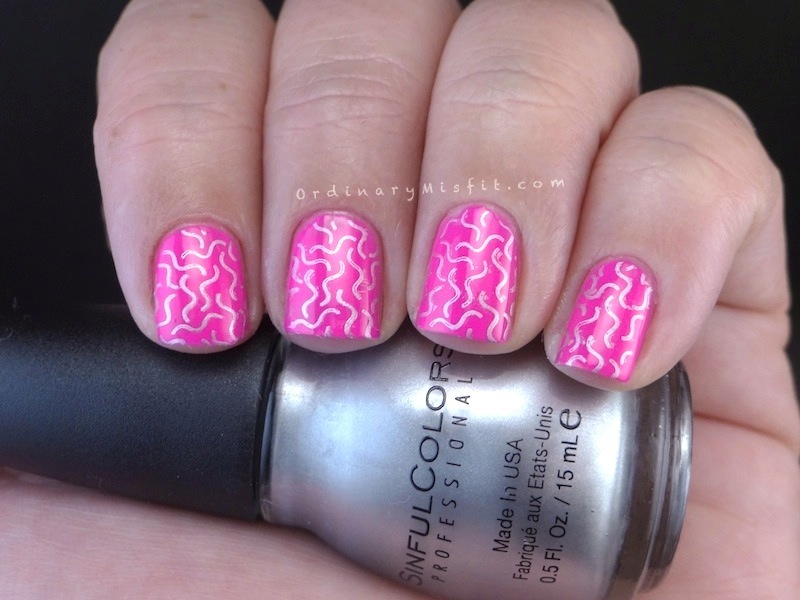 Something that I have been wanting to try for ages is a jelly sandwich with stamping instead of glitter. For the longest time I was shying away from jelly polishes. All of a sudden I just fell in love and then I really struggled to find a jelly polish that I love. Until now that is. 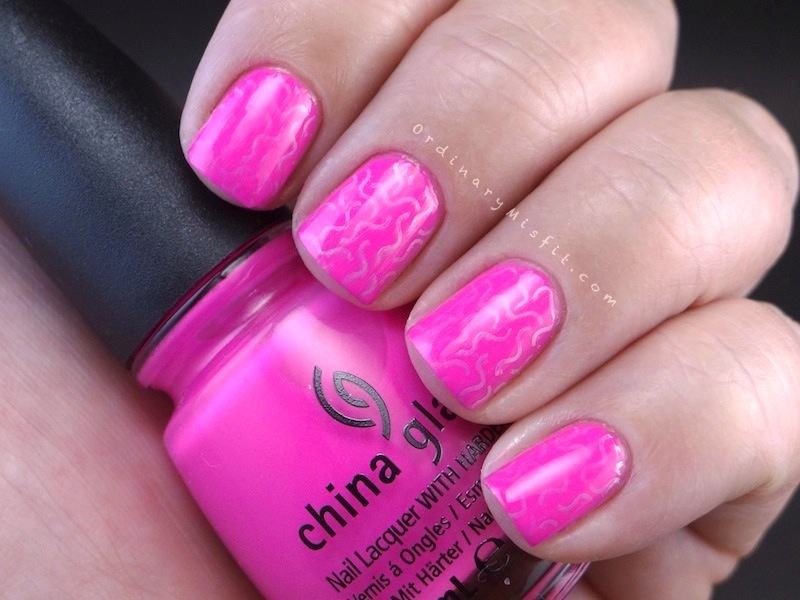 A little while ago I picked up a jelly from the China Glaze Sunsational collection. Let me show you the pretty. I’ve used three coats here with no topcoat. Mostly to show that with three coats it is pretty opaque. It’s is a beautiful, squishy polish that I absolutely love! 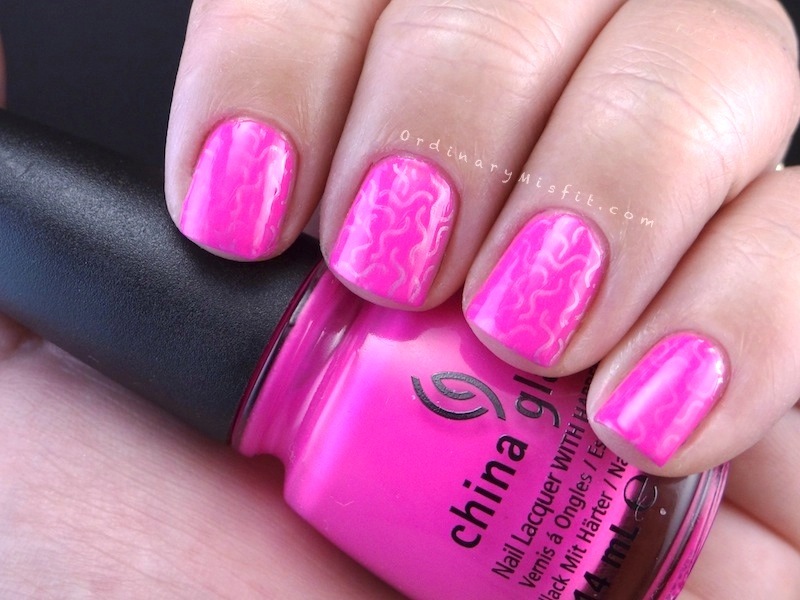 I then used Pueen07 and Sinful Colors – Casablanca to stamp this squigly design. 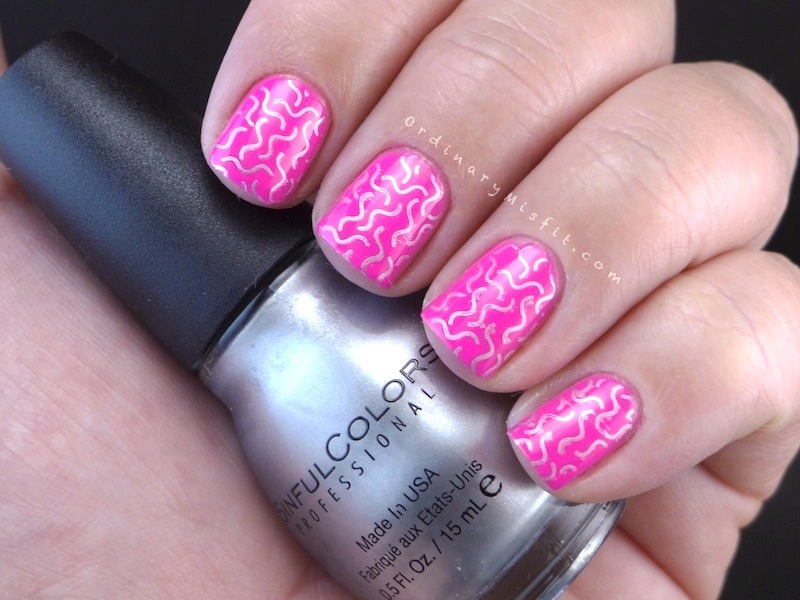 I actually really liked this just like that but jelly stamping sandwich is what I was after so onwards I go. I then added 1 coat of You Drive me Coconuts. I might’ve been a bit heavy handed with the last coat of polish but you can still see the stamping so I am going to class this as a win. It might not be perfect but I like it! I like it a lot! I will definitely be trying this again. What do you think? Have you tried this before? 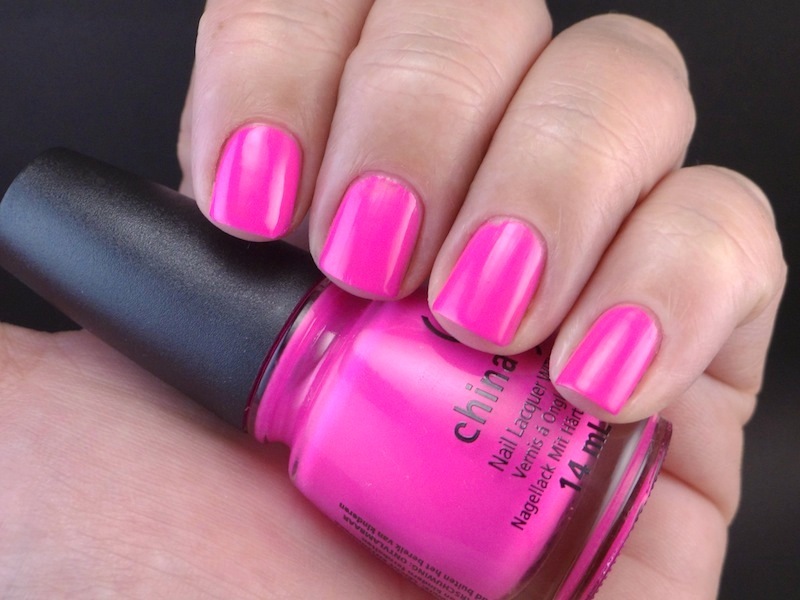 Isn’t this polish gorgeous? I am utterly in love! Gorgeous! I didn’t like the sunsational collection, so didn’t get any, but might change my mind and get this one… Lol. I love it! Where do you get these stamps? Wow! This is very pretty! One day, when you give classes in nail art, I will be your first student! It’s PINK!!!! hahaha thanks so much Lesley. I also really liked the stamping better without the extra layer. I think it looked really funky!